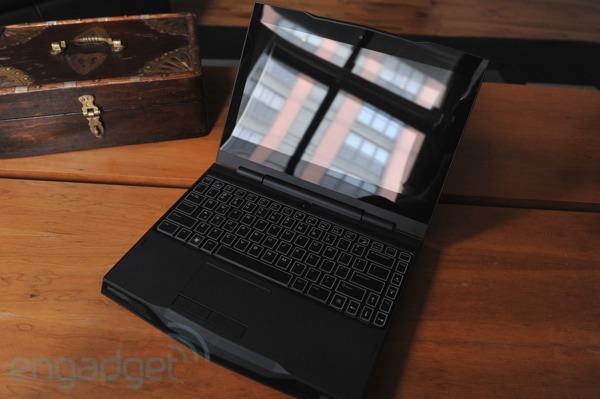 Alienwares’s Crysis playing ultraportable is about to get a speed bump. Due for release in June, the M11x is about to get Intel’s latest chips Core i3, i5 and i7 CPUs inside it’s 11.6-inch notebook hood. According to the interview of Shuffle Magazine with Pearce Clune, Head of Consumer Operations for Middle East, Africa and Turkey, the M11x is about to shed it’s current Pentium SU4100 1.30GHz and Core 2 Duo SU7300 1.30GHz processor options in favor of the faster Intel chips. It’s likely that this upgrade will also include Nvidia’s Optimus Technology for graphics switching though there’s no real confirmation for that at the moment.